Recognizing the need for connectivity, data access, and scalability, Teel Plastics executives worked to develop a competitive strategy that would also enable them to capitalize on the benefits of the Internet of Things (IoT). Teel Plastics, Inc. specializes in custom extruded plastic tubing and profiles. With highly-skilled employees and unique extrusion manufacturing techniques, Teel Plastics has built a reputation of exceptional made-to-order plastic tubing, cores, and profiles. The Teel Plastics facility in Baraboo, Wisconsin has ten manufacturing lines that produce different products at various times throughout the day. Each line requires a custom recipe for every product. 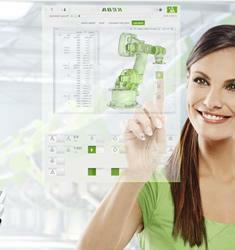 These recipes include different material inputs, equipment, heating components, and other variables. Recipes can change several times in one day, and ones that haven’t been used in months can resurface when new orders come in. All these variables quickly caused instances where human error deviated the recipes. These deviations inspired Teel Plastics to find a solution that would allow operators to control all pieces electronically and reduce human error. Recognizing the need for connectivity, data access, and scalability, Teel Plastics executives worked to develop a competitive strategy that would also enable them to capitalize on the benefits of the Internet of Things (IoT). They began by identifying the fundamental technology that would fuel their IoT effort. After evaluating several IoT offerings, they found that many solutions could address one component of their needs—such as a business aspect, protocol, or standard—but not everything. 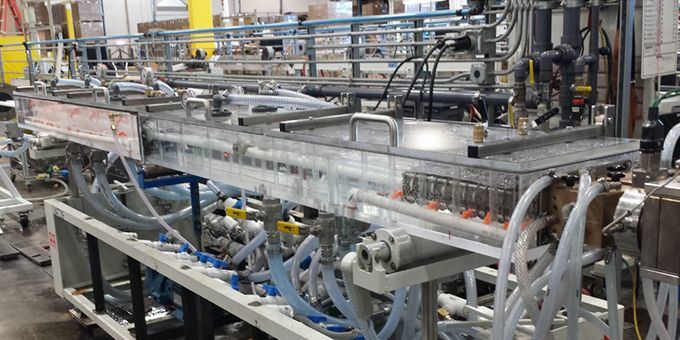 Further complicating the process, many of Teel Plastics machines are custom built—meaning they needed a solution capable of speaking to an entire range of PLCs from vendors including Allen-Bradley and Siemens. Though at first they considered developing an in-house solution, they ultimately found that Kepware’s IoT Gateway for KEPServerEX® provided the most seamless, reliable, and scalable way to control all the essential components through a single web interface. Leveraging Kepware’s software solutions, a Teel Plastics line operator can send a pre-saved recipe with more than 20 parameters from a web interface to the IoT Gateway, which then distributes the instructions to the machines on the line. This is a much more efficient and effective method than the previous manual process, and by providing device connectivity to multiple PLCs including Allen-Bradley and Siemens, Teel drastically reduces risk of human error. With these new processes, Teel reduced its set-up times by 30 percent. Since implementing the IoT Gateway, Teel Plastics has gained increased visibility into the granular details of its manufacturing process. This in-depth plant floor data enables Teel Plastics engineers to test different variables, which has led to decreased downtime. By monitoring different aspects of production (such as room temperature) and making slight adjustments, Teel Plastics has also made its recipes much more efficient. In addition, seamlessly aggregating data on indicators (such as humidity or wear on parts) into a central database enables operators to monitor equipment for predictive maintenance, and leadership to make more informed decisions on recipes— so the company can produce greater output at a much higher quality. For example, prior to the IoT Gateway implementation, one line was completing 18 units a minute. Now, it is outputting 35 units a minute—nearly doubling its capacity. The IoT Gateway also provides Teel Plastics employees with ease of mind. Operators no longer have to memorize recipes, which allows them to complete tasks with greater confidence. Additionally, switching between shifts has never been smoother, as incoming operators can easily pick up right where the previous operator left off. Finally, Teel Plastics customers can now see detailed data that proves their requests are being met to their exact specifications. This visibility has increased customers’ comfort with standard requests and has even led many to expand their requests.